So, after a few mishaps I believe I have managed to finally log in. Fingers crossed the rest of the term will go smoother. Finally got to log on. hopefully everything will be smooth sailing from now on! Economics and economic systems are very important to me. I’ve always been fascinated by them. At the same time, part of my motivation for studying economics has always been to try to understand better how society can improve the living standards of all it’s people. This is much the same motivation that has always driven the greatest economists such as Adam Smith, John Maynard Keynes, and even Karl Marx. I hope I can help you to better understand the economic system in which you live as well as those in which others live. If we all become more knowledgeable, there’s a chance we might improve things. 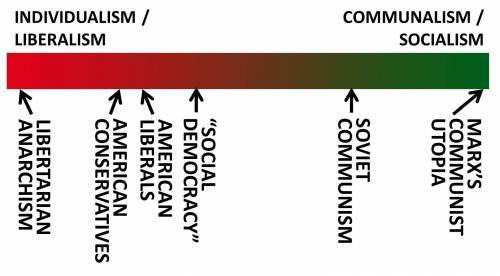 Fig 1: Political-Economic systems/ideologies arranged in a spectrum. Perhaps my greatest hope for the course is that you learn to think critically and deeper about economic systems and related issues. People feel strongly about their economic system and how their government should relate to it. Unfortunately, ideology, politics and slogans are too often used as substitutes for critical thinking and analysis. Too often people resort to simplistic and emotional labels. They act as if there’s only 2 or 3 systems called socialism, communism, or capitalism as illustrated in figures 1 or 2 shown here. Worse yet, they classify these simplistic labels as either “good” or “evil”. The world isn’t that simple. People aren’t that simple. And no economy is that simple. No economic system is exactly like another. Yes, there are patterns, but there’s not just 2 or 3 systems, good and bad. Further, there’s strengths and weaknesses in each system. Facts are stubborn things. There’s room for disagreement, particularly in this course. But it needs to be informed and thoughtful disagreement, not simplistic sloganeering. I like to think that there’s a variety of types of writing. They run a long a spectrum and you’ve most likely done the writing at both ends. At one end is what I call academic writing. That’s what you’ve done for years in school. It’s all those essays, research papers, lab reports, term papers, and, yes, even those 1-3 paragraph things you post on some Desire2Learn forum in response to your professor’s “prompt”. Academic writing tends to be formal. It tends to be dry. It’s primarily you responding to some topic or prompt or trigger or question your professor posed. You’ve got limited ability to talk about what you want to talk about (yes, I know every professor says “write about what interests you as long it’s about this topic” — how’s that supposed to work?). What’s more, the writing assignment is disposable. Professor assigns. You write. Professor reads (yes, we do read them). Professor grades. End of life for the written piece. 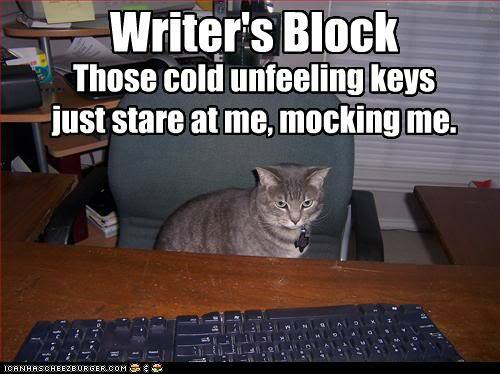 I’m right with the cat for academic writing. It produces anxiety because it’s likely being graded – grammar and spelling count! And then it’s read once and disappears! What kind of nonsense is that? You’re expected to write drafts and then re-write. You’re expected to adopt a persona or voice. And don’t get me started on footnotes. 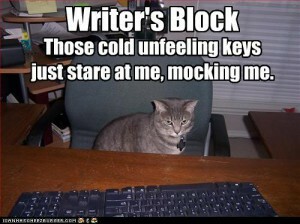 I don’t know about you, but academic writing tends to really give me writer’s block.